Today's bizarre creature is another flower that looks like something else, only this time it is not an orchid. Impatiens bequaertii doesn't have a common name. 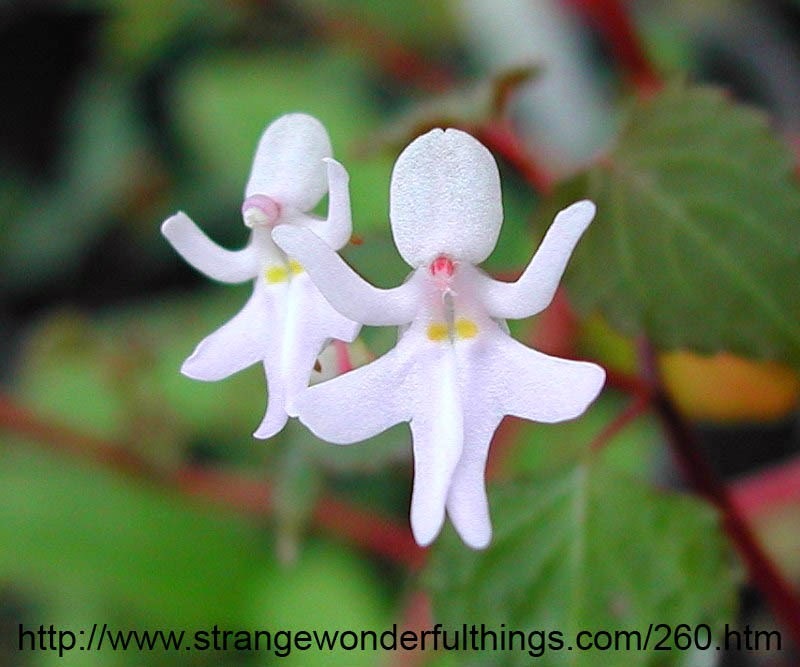 It looks like a dancing girl. 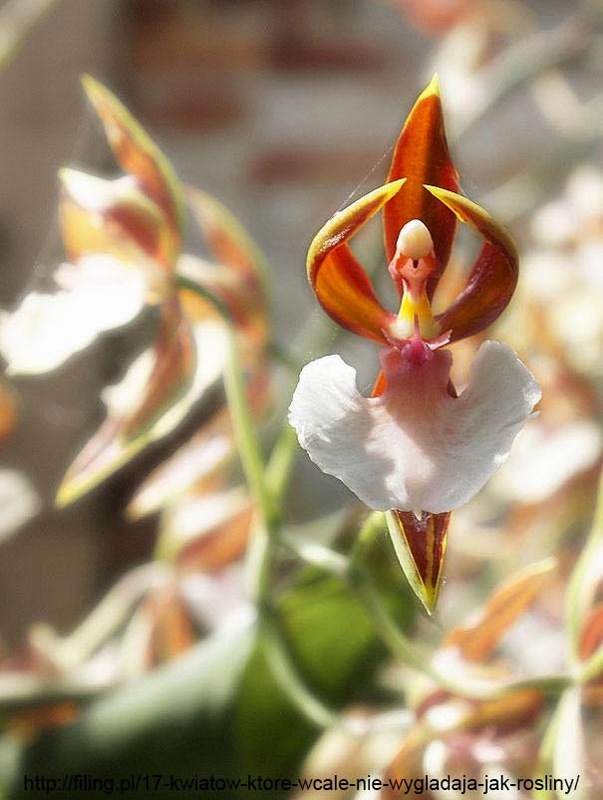 The various lobes of the flowers are often arranged differently giving it the appearance of different dancing poses. Impatiens bequaertii is native to East African rain forest. It is rarely cultivated as an ornamental plant in various parts of the world.